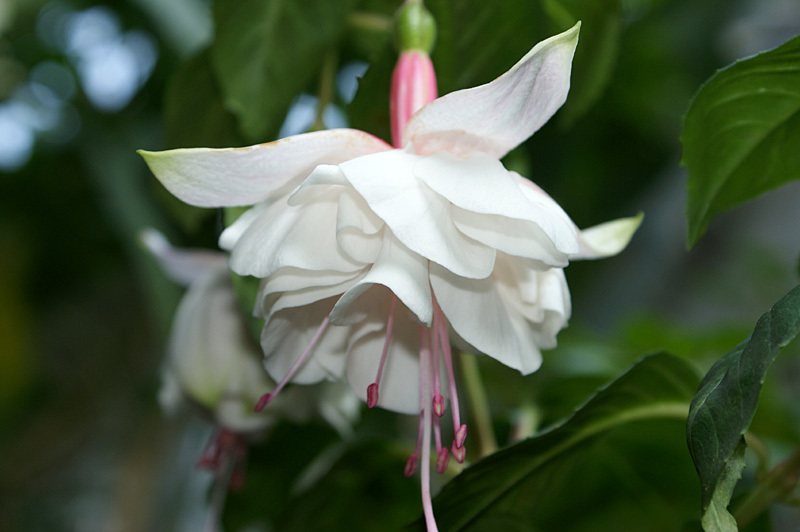 Giant Fuchsia 'Happy Wedding Day' is one of the most asked about Fuchsias we sell. Not always widely available but we try to keep some available as much as we can! Happy Wedding Day produces stylish white flowers up to 8cm across all the summer months. Happy Wedding Day is a trailing fuchsia suitable for baskets or tubs and produces spectacular double flowers.